A delicious way to reveal the gender(s) of your bun(s) in the oven. 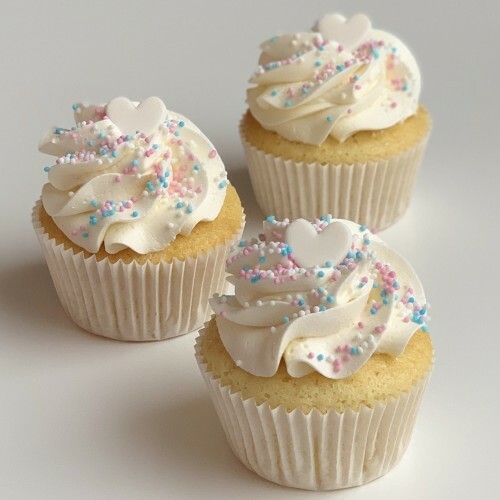 Vanilla cupcakes decorated with blue & pink sprinkles and finished with a white heart. Select the filling color of choice below.